The job of a caregiver, as the name suggests, is to offer able care and support to the people who require it. A baby or an older adult or a disabled person are some of the categories of people who need the assistance of a caregiver. A caregiver resume enlists the personal qualities you possess to qualify for the post of a caregiver. The resume places more emphasis on the personal emotions and the professional capabilities. 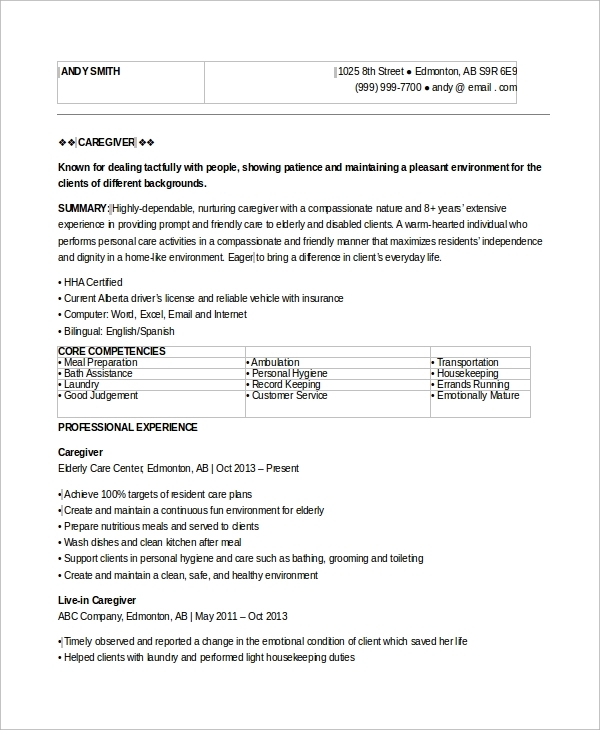 Here are some Sample Resumes to get some help for your caregiver resume. A private duty caregiver imparts services like meal preparation, first aid, communication with the clients, etc. 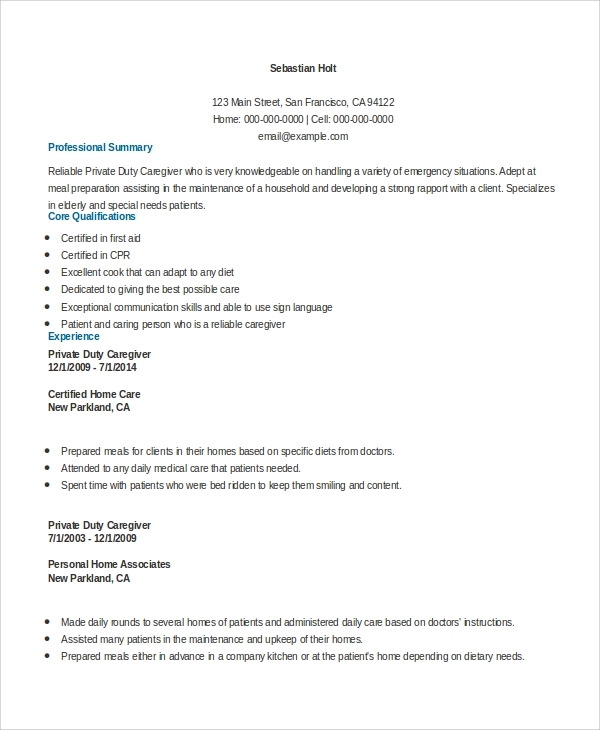 The caregiver resume for this post will include your qualifications and experience as a private caregiver. It describes the skills you have to keep the clients/patients content and healthy. This certain part describes the requirement of qualities that you can mention in your caregiver resume. There are three particular sections related to personal care, home helping, and companionship. These sections deal with the qualities like communication skills, abilities to run errands, assistance with bathing and toileting, and other similar skills. The caregiver resume for a care assistant includes the skills you possess for taking care of the physical and mental status of the patients. Mention your qualities for communicating and handling the patients in every possible circumstance. You can also see the Nanny Resume Samples. The job of a caregiver requires the applicant to be aged more than 19 years old. Therefore, the caregiver resume is targeted for the people following the age criteria. It also requires the person who can provide the services for the entire day and even night in several cases. The individuals who can fulfill duties like bathing and toilet the patients, taking them for evening walks, escorting them for doctor visits, etc. are the primary target for the caregiver resume. The summer caregiver resume is suitable for students who are free for the summer and wish to provide their help for the elderly or babies. 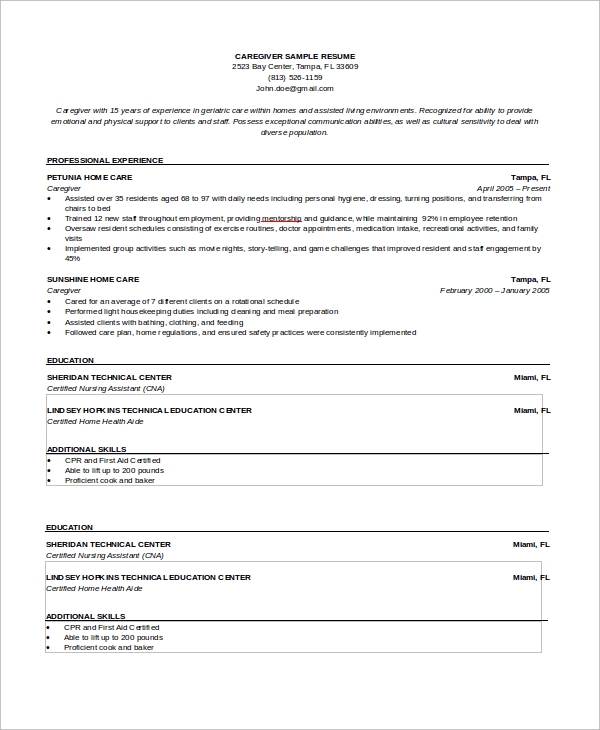 You can also see the Customer Service Resume Samples. 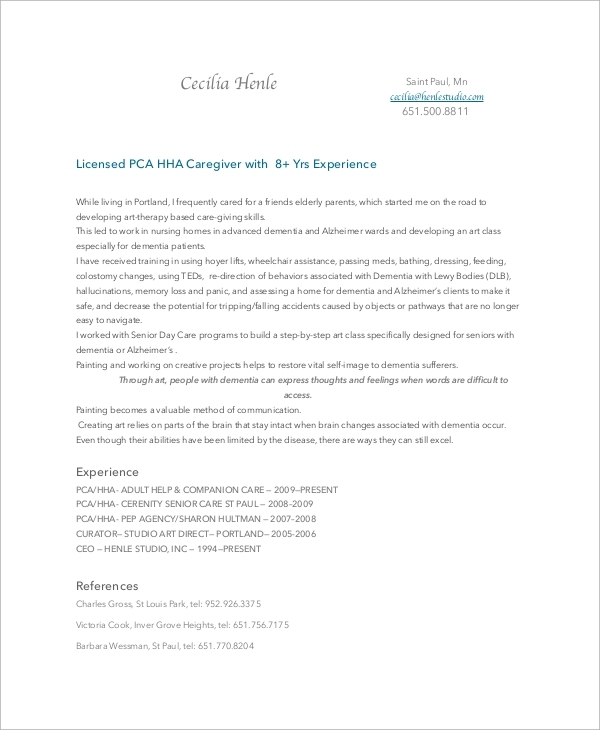 This caregiver Professional Resume deals specifically with the senior or elderly patients who need care and assistance on a daily basis. You should describe your capabilities to fulfill duties like cooking, bathing, shopping, escorting, etc. If you’re applying for a post of a caregiver to make use of the leisure time in summer holidays, then write the summer caregiver resume. It includes the brief details about where you are studying and what duties you can impart as a caregiver. The uses and benefits of the Caregiver Resume Samples vary in number. 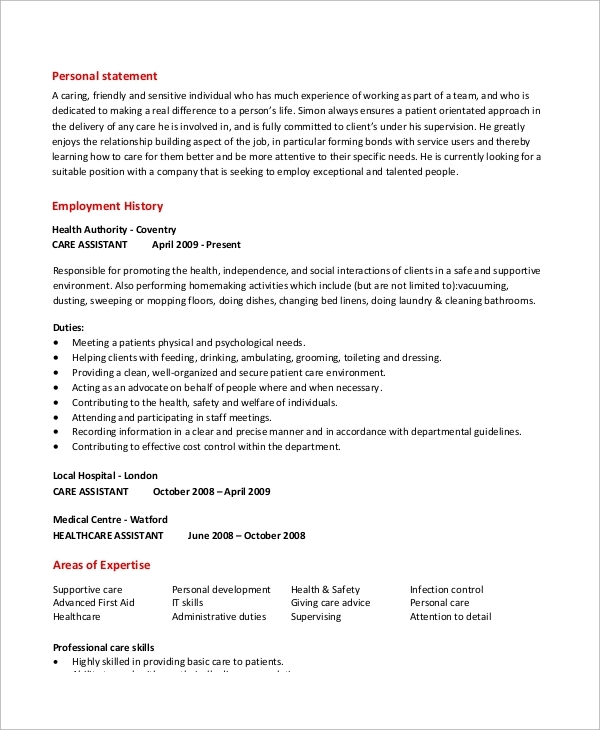 These resumes help the applicants to create a well – managed written record for all their qualities and abilities as a caregiver. It helps them to present their candidature for the job to the families or institutes requiring assistance. On the other hand, the caregiver resumes help the employer or families to rummage through the applicant’s’ qualifications for the post of a caregiver. They can choose the ideal caregiver from all the resumes received. They are used, like any other resumes, for presenting the applicant’s able candidature for fulfilling the duties and requirements of the job. 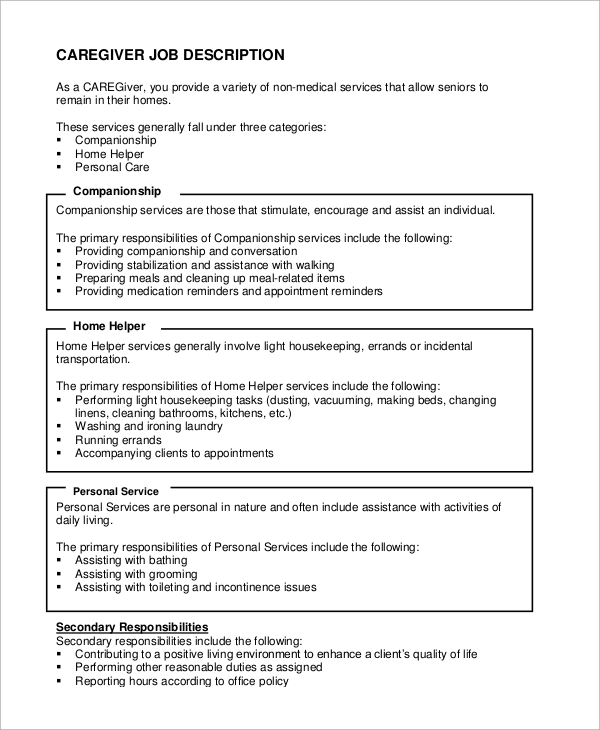 A caregiver resume is written for the rather sensitive and challenging job of a caretaker. The job requires both strength and care for dealing with the patients. The Resume Examples should be drafted with competence to impress your caring personality to the employer. 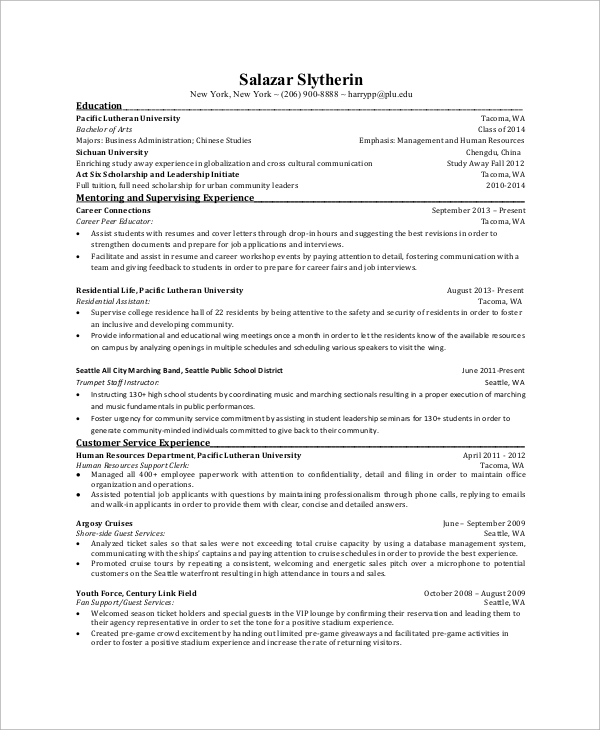 You can search for more resume examples for the same.